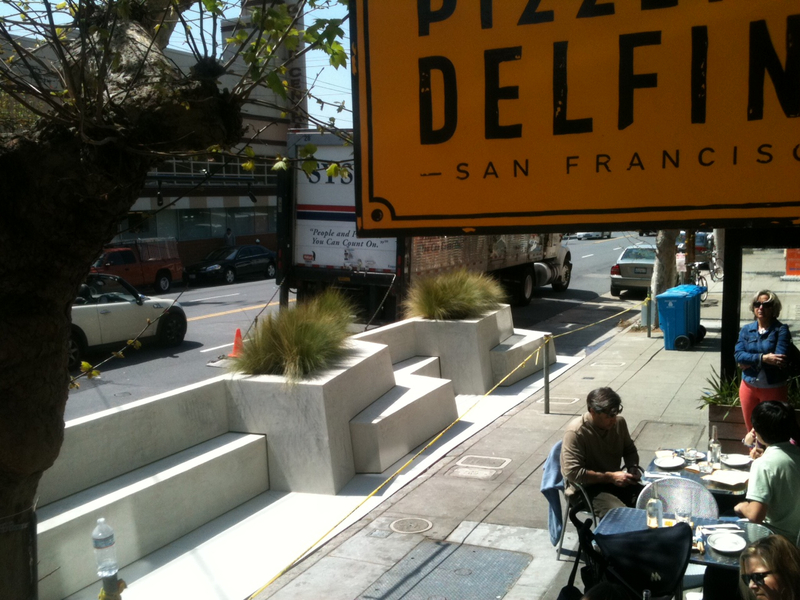 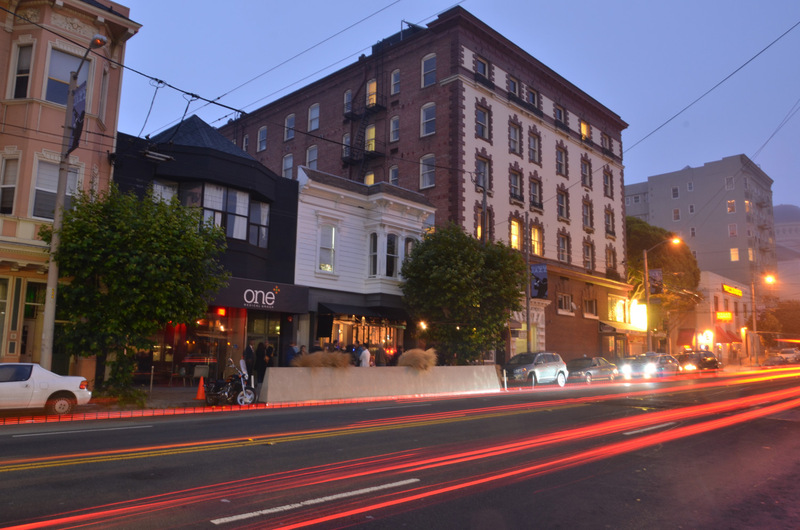 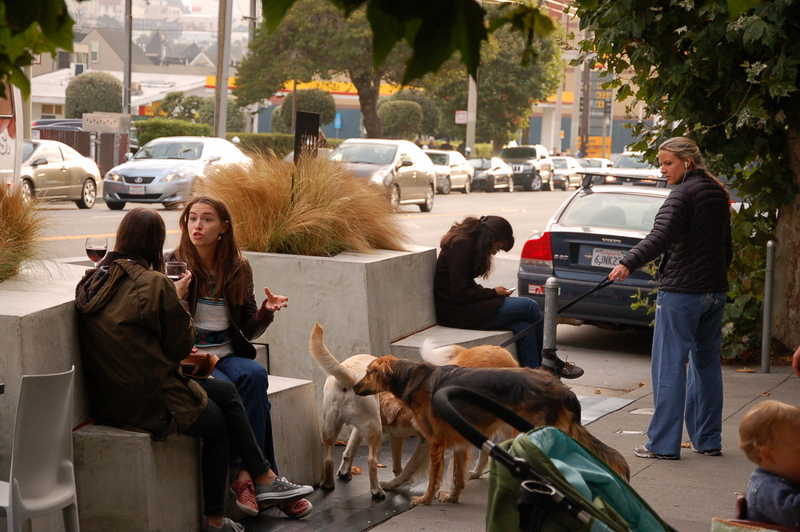 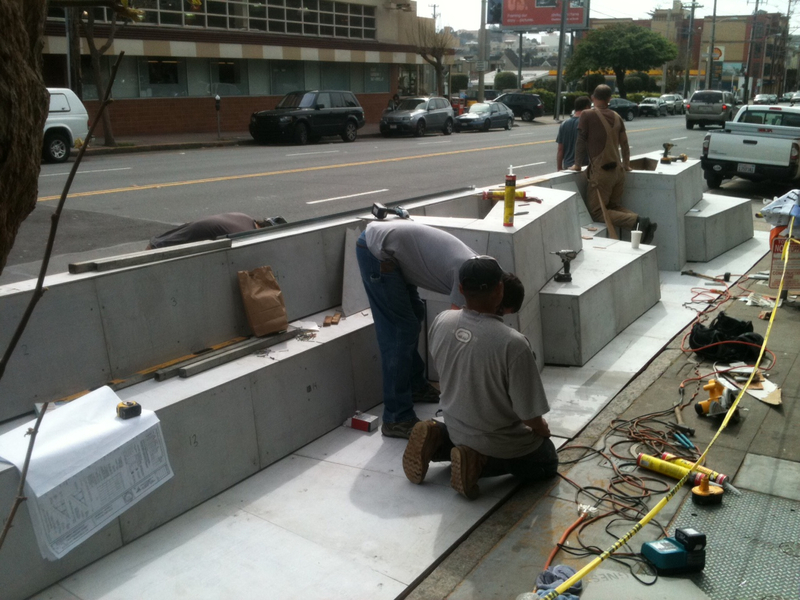 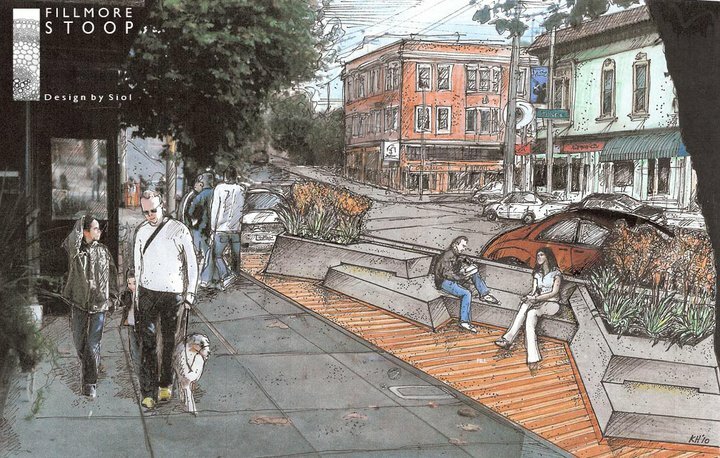 In collaboration with the Fillmore Merchants Association, we designed a public addition to the vibrant neighborhood: a parklet that runs along the sidewalk of California Street for the length of several parking spaces. 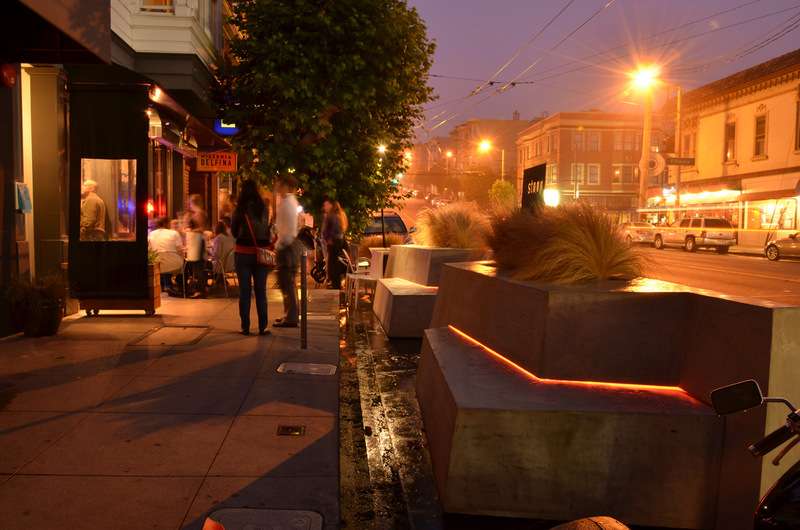 Multi-tiered sculptural concrete, topped with soft plantings that carry notes of the street’s rich foliage, weave in and out alongside the pedestrian walkway, offering rhythm to passage down the street and opportunities to break away from the bustle. 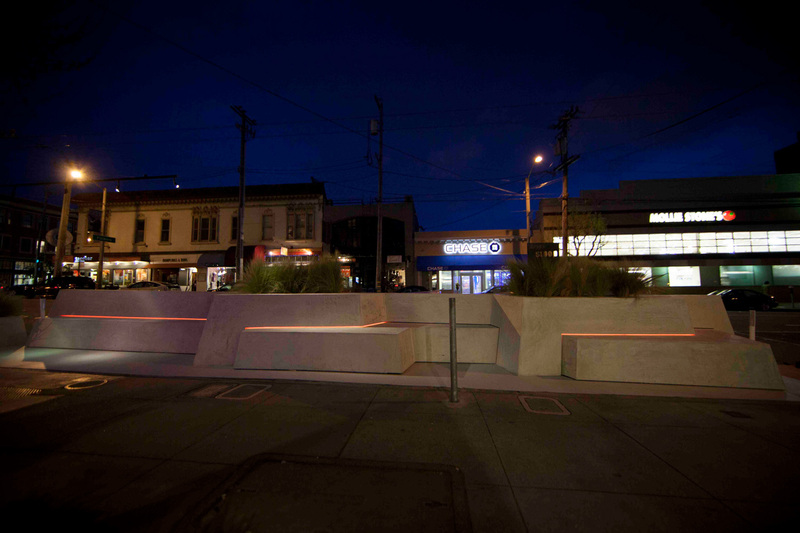 At night, integrated lighting follows the lines of the geometry with a soft, colorful glow.